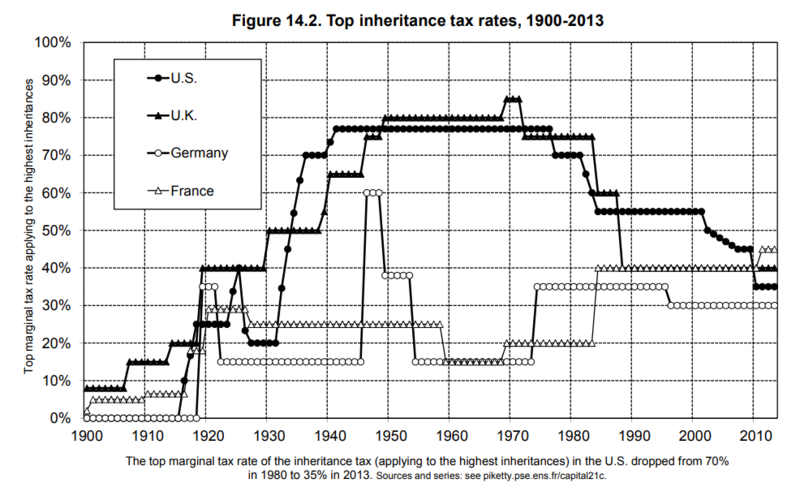 This graph illustrates the top inheritance tax rates since 1900 for four major Western governments: U.K., U.S., France, and Germany. Not the answer you're looking for? Browse other questions tagged world-war-two world-war-one united-kingdom taxes or ask your own question. Has the feminization of the labor force continued after WW1? What was the name of the man who was beaten by a crowd for tearing up a war poster during WWI?